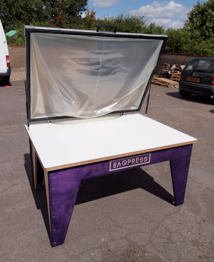 Bagpress is a UK based company, set up in 2001, specialising in the process of vacuum pressing. As far as we are aware, Bagpress is the only company in the world that not only sells vacuum press equipment but also uses it daily on a commercial basis. In 2009 we vacuum pressed around 4000 panels of all shapes and sizes, construction and surface finish. With approximately 75% of the company’s turn over being derived from sub-contract manufacturing activities, if you buy a vacuum press from Bagpress, you have access to, probably, the best vacuum pressing technical support line anywhere on earth. 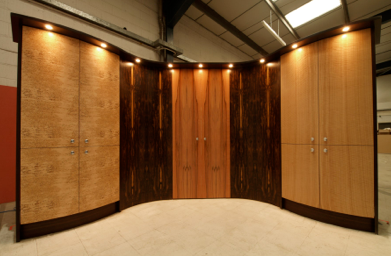 Our product range has developed and grown with the experience gained in our own workshops. We take a commercial view in all the advice we give and prefer to offer recommendations based on this experience rather than regurgitating ‘accepted wisdom’. For example, we press and veneer nearly all non-structural panels using a high grade D3 PVA rather than a UF or Resorcinol resin. PVAs have improved dramatically in recent years to the degree that they are the ideal adhesives for vast majority of vacuum press requirements. Bagpress has also pioneered the use of extruded polystyrene as the ideal material for vacuum press tooling and offer a CNC hot wire cut mould making service. You can now build accurate costs for tooling into your quotations and, when you win the job, just order the moulds and two or three days later they arrive ready to go! Lightweight, extremely accurate and with centre lines and other reference marks permanently cut into the foam block as part of the CNC cut process. 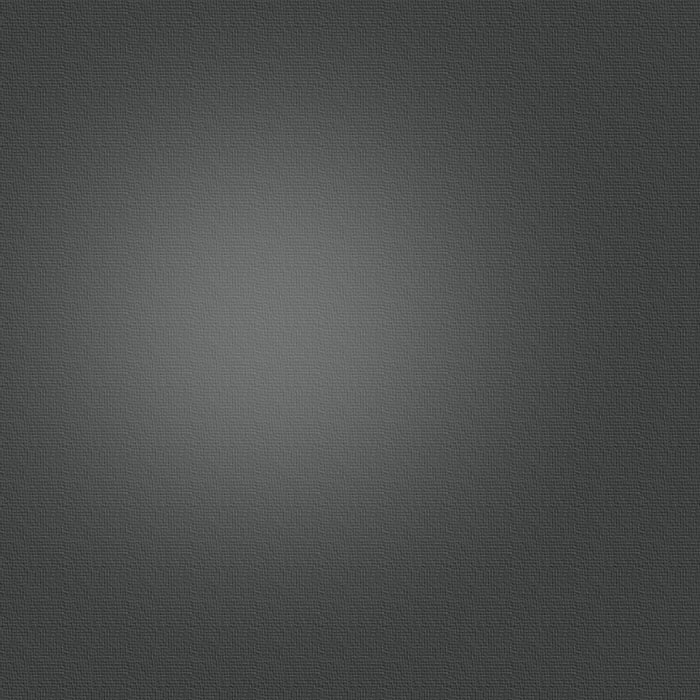 See the Styromould page for further details and examples of pricing. We hope that you find the information on this site interesting and useful but if you have any questions that aren’t addressed here, please feel free to call or email for further advice.